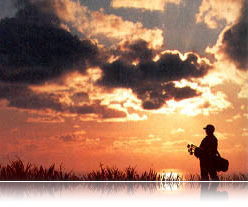 Europe Golf courses reviews . Frank Whiteway, a member writes...Barrow Golf Club is situated on the left of the A590 on the out-skirts of the town. A left turn up Bank Lane and a 300 yrd drive - Big Bertha range- to the top of the Lane sees the Clubhouse on the left giving the most magnificent view of the Lake district hills and the Duddon Estuary. The resident P.G.A. Professional, Jim McLeod offers a warm welcome to any visitor as he advises them of details of the course and the Club. Barrow Golf Club has a splendid reputation for having excellent greens and many of the members will be proud to tell you that they are the best in the area. The course is always well maintained and our resident Course Warden is invariably at hand to offer advice and guidance. Although the first impression is of a wide and open course, players will soon discover that a wayward drive or poor approach will be punished as the rough alongside most fairways is tough but fair. A large number of trees have been planted over the last few years and should provided additional interest as they develop. The later holes, that is from fourteen through to eighteen, have out-of-bounds on the players left presenting a very difficult finishing stretch which can seriously damage a well developed score card. The eight and ninth holes are of particular interest with the eighth having the green situated in the heart of an old sand-stone quarry backed by a tall an intimidating quarry face. The ninth has a large crevasse stretching across the fairway inviting any poorly hit approach shot to the green. The three par five's all welcome the longer drive and can, depending on the wind and direction, be just about reachable in two shots for the short handicap or scratch player although the seventh, at 517yds, demands exceptional power. A deep hidden ditch across the front of the fourteenth has to be carried to achieve the desired result on this stroke one hole. The coastal breezes which seem to be a constant feature of all golf courses in the area, provide an additional challenge to this 6137yrd 18 hole par 71 course. The fairways are almost all level going making the walk easy for all but the most fragile golfer. Although this parkland course is set on the top of a hill, the player only visits the lower ground once, unlike many courses which force the golfer up and down the slopes on almost every fairway. Consequently the player only has one climb up the short, sharp incline to the par three fifteenth green. The next three holes, being on the level once more, give ample time to restore the necessary stamina necessary to justify the welcome of the 19th hole. Steve Kelly, the Club Steward, will be delighted to offer the thirsty golfer his choice from the full range of fine Bass ales and soft drinks whilst Julia Everett, our catering manager will be more than able to fulfil even the largest appetite developed over 18 holes. Relax in the large lounge and watch the sunset as the sun sinks past Walney Island and the distant silhouette of the Isle of Man, easily visible on a clear day. A visit to this pleasant and well maintained golf course would be difficult to better and the availability and reasonable charges make it one that must be highly recommended.